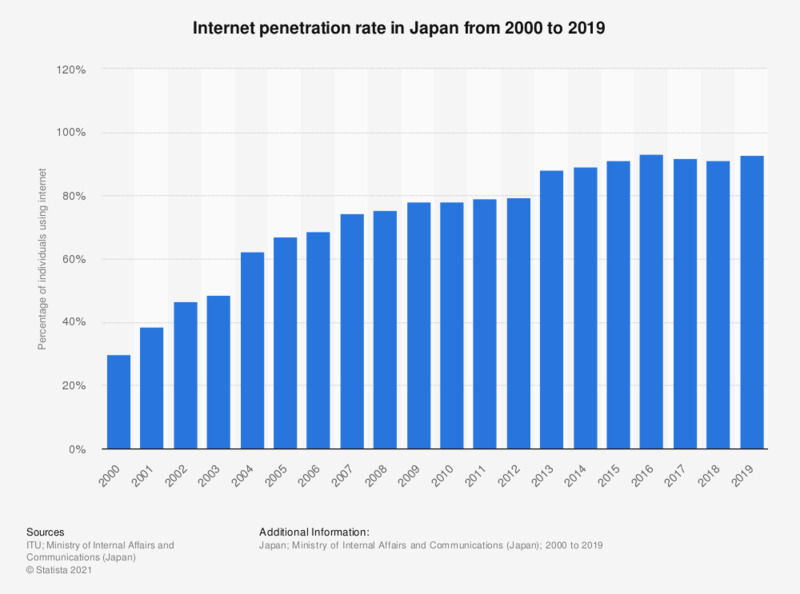 This statistic gives information on the internet penetration in Japan from 2000 to 2017. That year, almost 91 percent of the Japanese population accessed the internet, down from over 93 percent in the previous year. Everything On "Internet usage in Japan" in One Document: Edited and Divided into Handy Chapters. Including Detailed References. Statistics on "Internet usage in Japan"